If you have an allergy or an intolerance to certain foods, the allergy symbols should help you decide on a delicious dish that won’t bring you out in a rash or cause stomach cramps. In this post, I’ll tell you what each symbol means, and you’ll learn the difference between an allergy and an intolerance. What can you eat if you have a food allergy? Most people have an intolerance to at least one type of food. Most would describe themselves as being allergic to that food. So, they cut it out altogether. They don’t suffer the side effects of eating their favourite food again, but they also lose a little of the enjoyment of eating. If you are allergic to a foodstuff, cut it out. If you are intolerant to a foodstuff, eat in moderation. 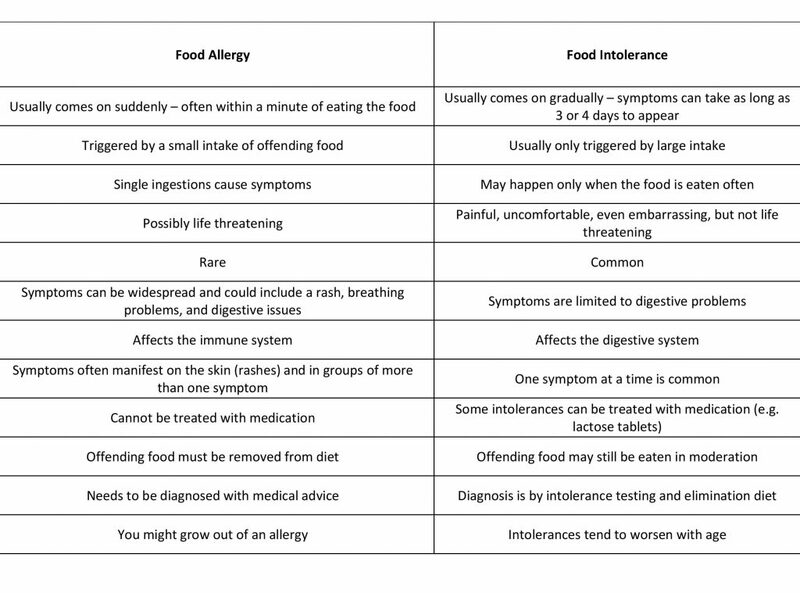 How do you know if you are intolerant or have an allergy? Often, people think that they are intolerant to a certain food, when they aren’t. The reason for this is the amount of food it takes to make you ill, and the length of time it takes to take effect. If you become ill in the afternoon, you might think that it’s something you ate at lunch time that has made you ill. In fact, it could be something you ate three or four days ago. How do you uncover your food intolerances? If you have a food intolerance, it’s likely that you already have an inkling of what it is. For example, “Too much cheese gives me indigestion”, or “When I eat bread my stomach bloats”. But it might not be the cheese or the bread that produces these symptoms – you might be intolerant to lactose or gluten. The way to discover what food you are intolerant to is to take an intolerance test and follow this with an elimination diet. One thing is certain: the more you consume a food to which you are intolerant, the worse your symptoms will become. But everyone with a food intolerance will have their own safe level with every food. Find this, and you will be able to eat out and enjoy every time. 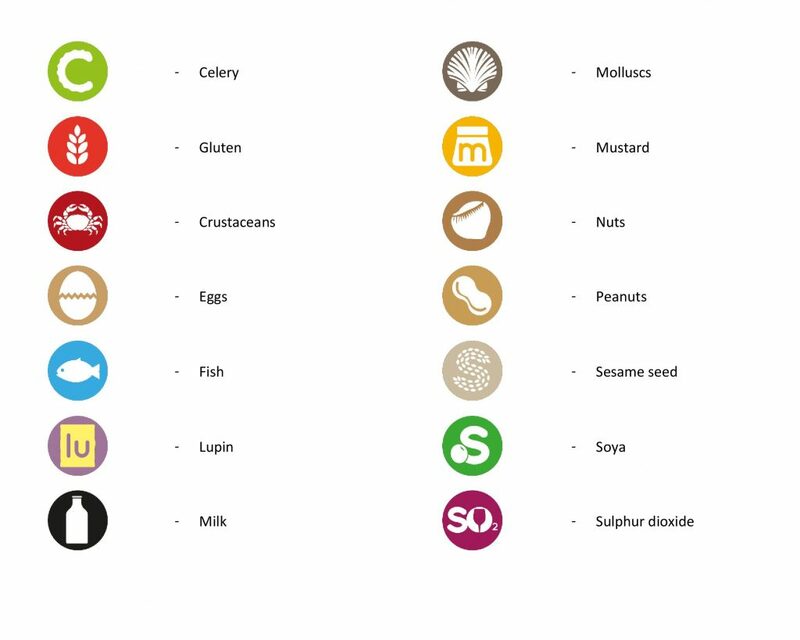 What do all the allergen symbols mean? We are continually innovating and improving our menus. Our new menus make it easy for you to enjoy a delicious three-course meal in beautiful surroundings, and served by award-winning front of house staff. Just a few of the reasons why we are rated in the top ten best restaurants in Torrevieja (TripAdvisor). To book your table, call us on (+34) 600 01 28 24.